In my Previous Post, I have detailed How to Block Ads in Microsoft Edge Using Opensource Reverse Filterting Proxy,Privoxy. However, I am Now Attributing a Ultimate Adblocker Freeware that has capability to Block ads in Microsoft Edge Browser in Windows 10 . Adfender can also blocks annoying ads inside Windows Apps from Windows Store. 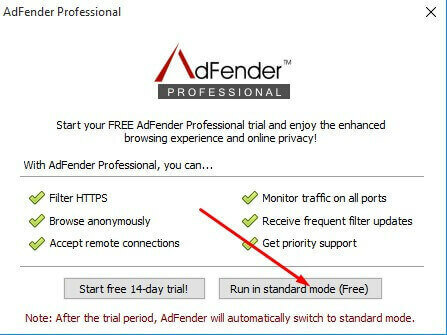 1.Visit Adfender.com and Download The Freeware. 2.Install The Software, Click Free Edition.It Will Automatically Configure Settings and Filter Lists will be updated. 3.You can Configure the Filter Lists from Filters Pane. 4.Click Apply and Ok to Save Settings. 5.Enjoy Blocking Ads in Microsoft Edge Browser in Windows 10. The Adfender Creates System Port 7070 for Filtering Ads. Be Sure to Unblock Port if it has been blocked by Specific Firewall and Internet Security Softwares. 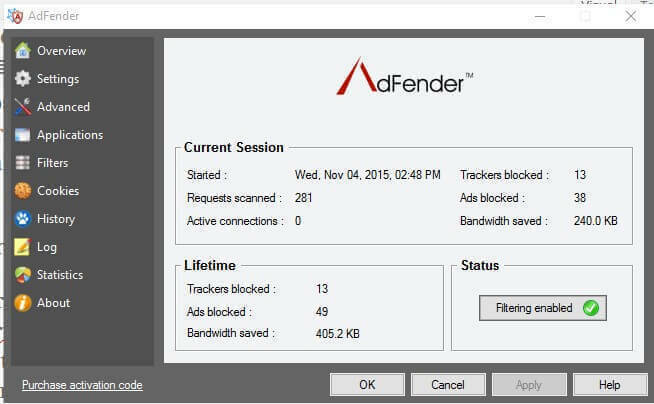 The Adfender is Free Ultimate Adblocker that will filter ads for All Browsers installed in your system.it Optimizes System Resources and Reduces Browser Overloading and Memory Footprint as you do not NEED any Specific Addons and Plugins for Dedicated Filtering and Blocking.